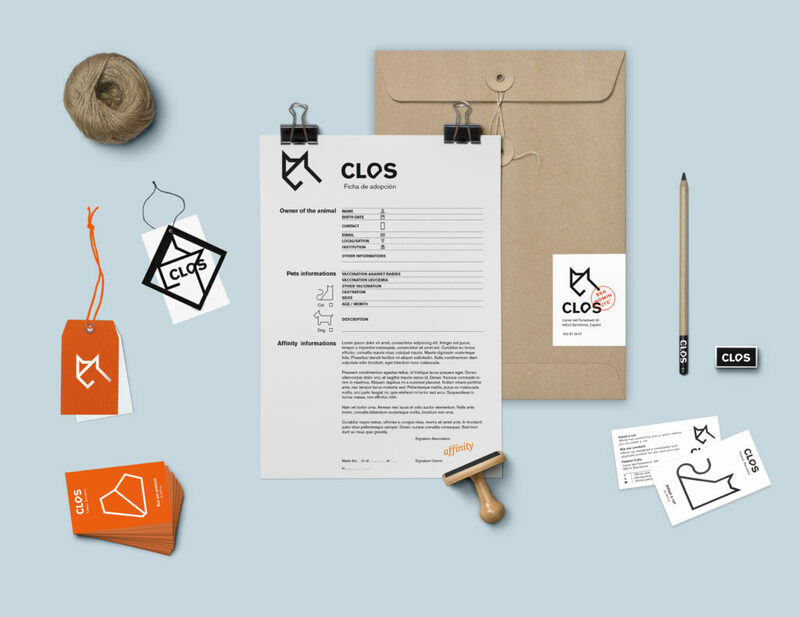 Clos is a new concept of “the traditional kennel” that cuts the interaction between humans and pets. 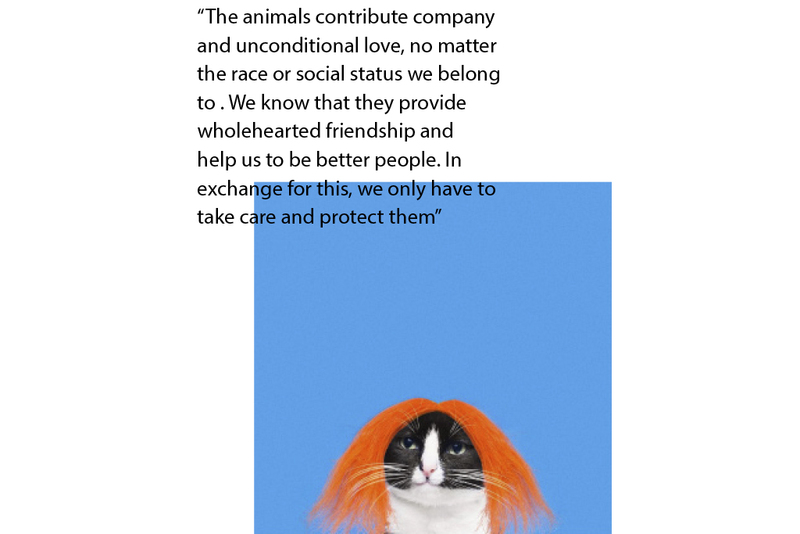 In this university project, we wanted to convey the most important value of Affinity Company: the relationship between pets and their humans. 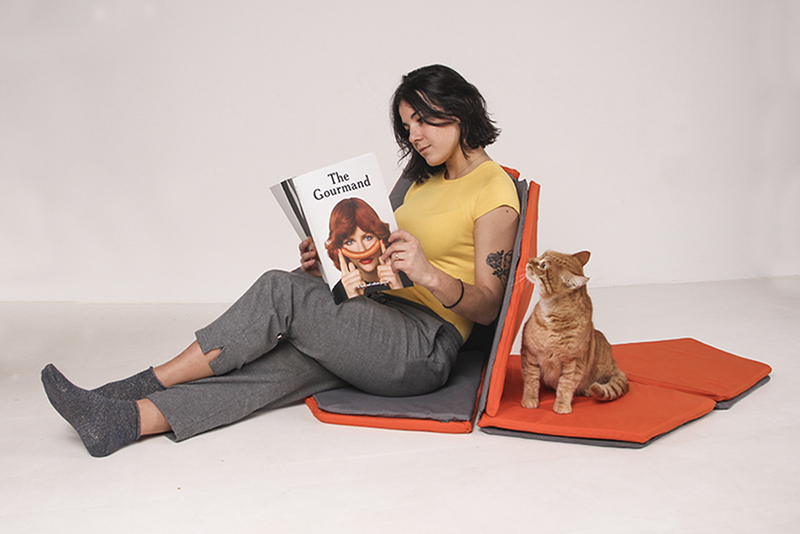 We wanted to erase boundaries and get the animals and their humans to share space and interact. 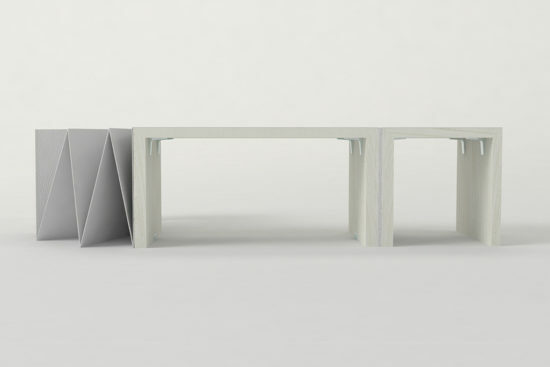 When we think of a doghouse, the first image that comes to mind is the little wooden house settled in the garden. 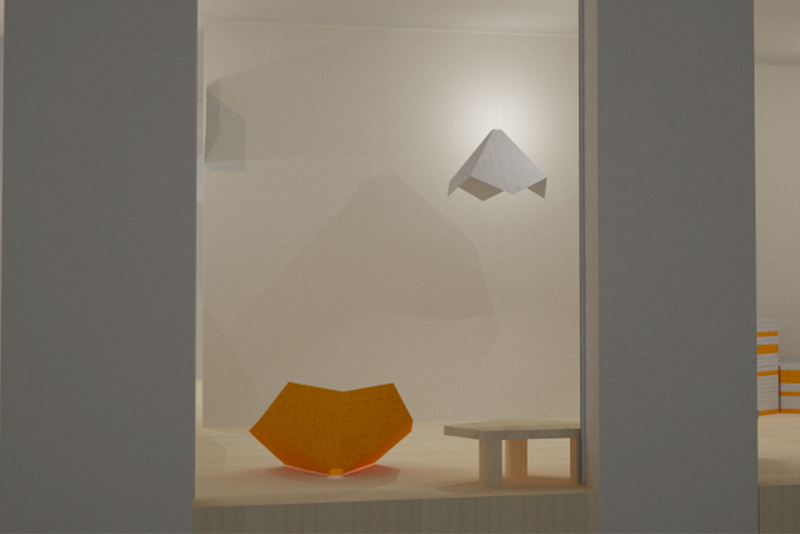 It is the place where pets have their private space in the daytime and the roof to sleep under. 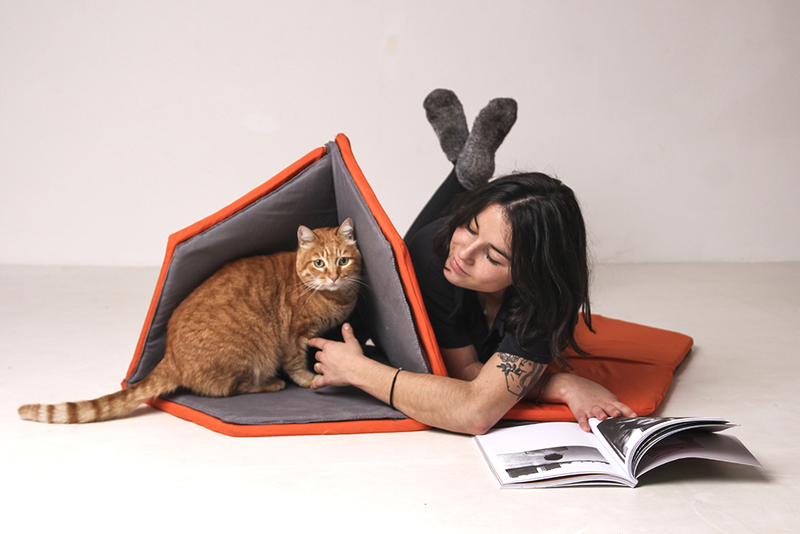 This concept of the doghouse, however, is cutting the interaction between humans and pets. 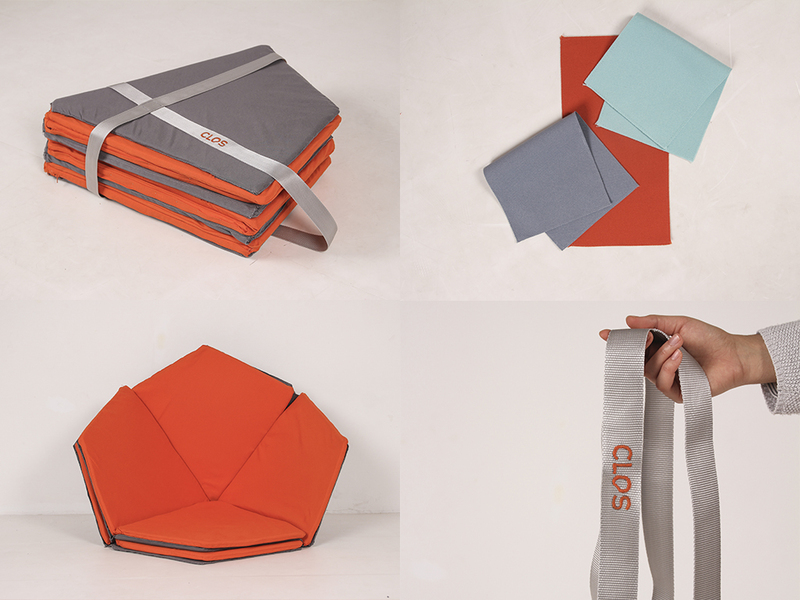 The modular structure of CLOS is intended to provide multifunctionality, mobility, and adaptability to the furniture’s concept by moving some parts of it. 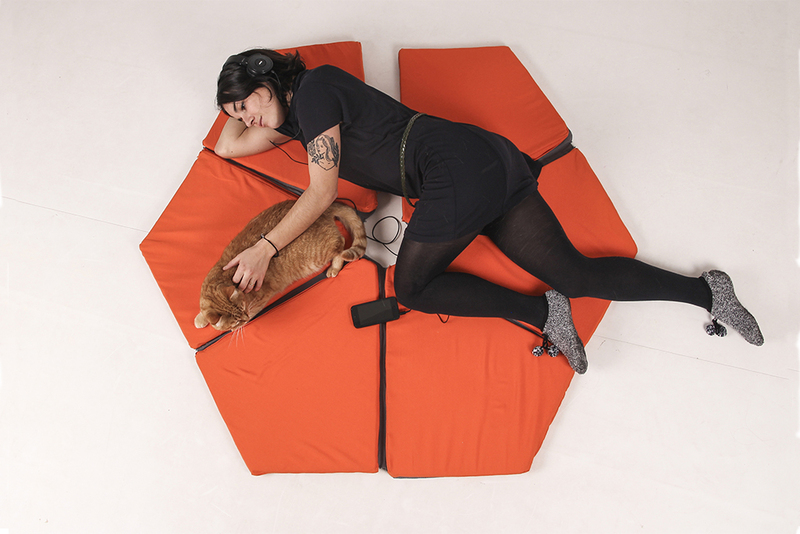 The user can obtain multiple positions that fulfill different needs: from resting with your pet just by laying on the floor, to sitting with him on your side and transforming CLOS product into a sheltered space. 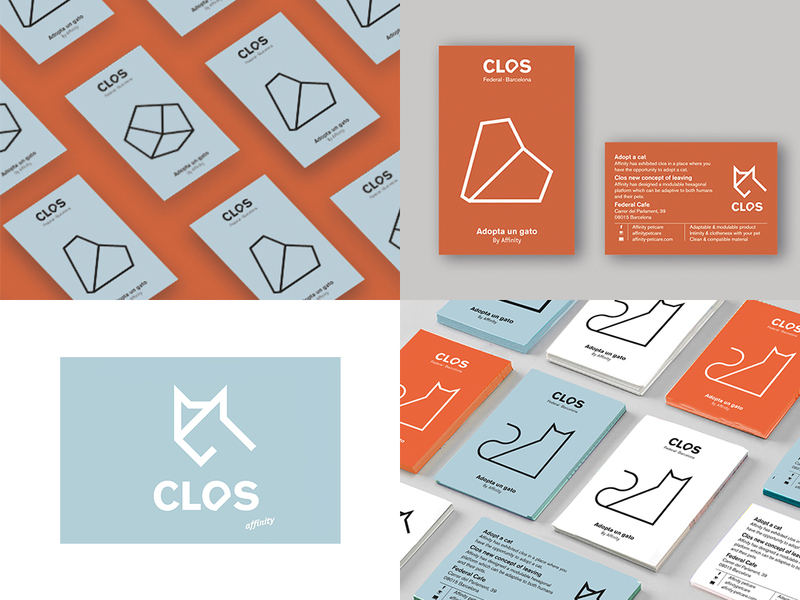 Playing with geometric forms, we were searching for a way to create a better relationship between pets and their humans through the adaptability and flexibility of the product and graphic applications. 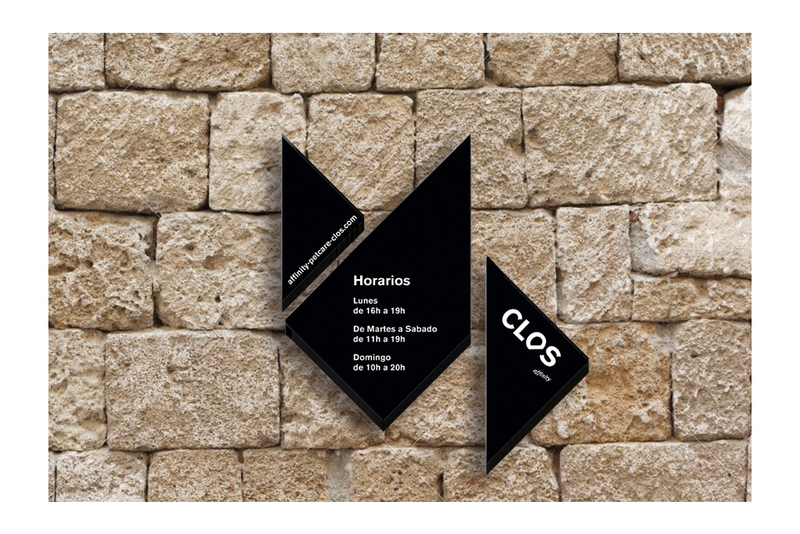 The typeface transmits the values of closeness, affection, love, family, and security. 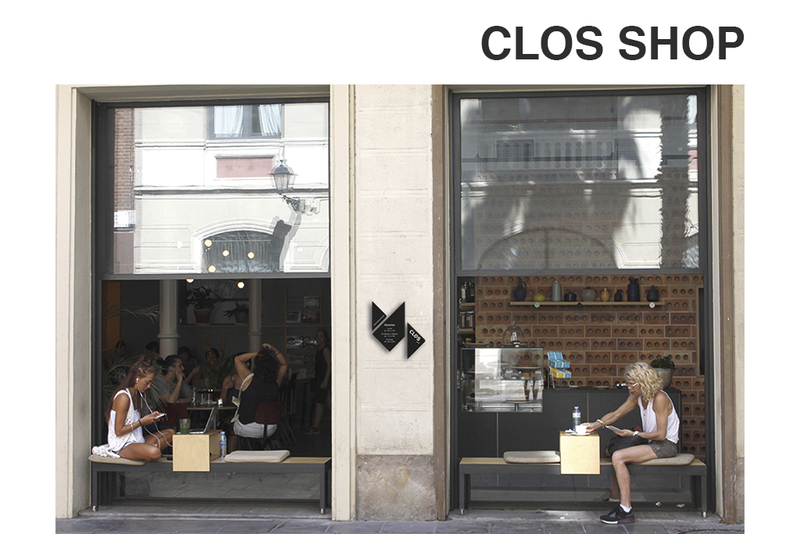 The naming is a pun from the shape of the product compared to a shellfish which is called “Clos” in the Catalan language and also is in reference to the concept of being closed inside a space. 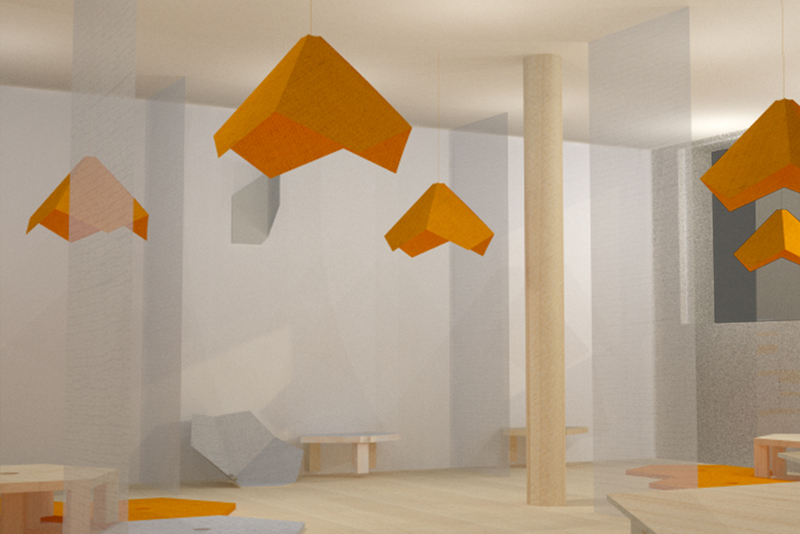 Come and visit our pop- up store! 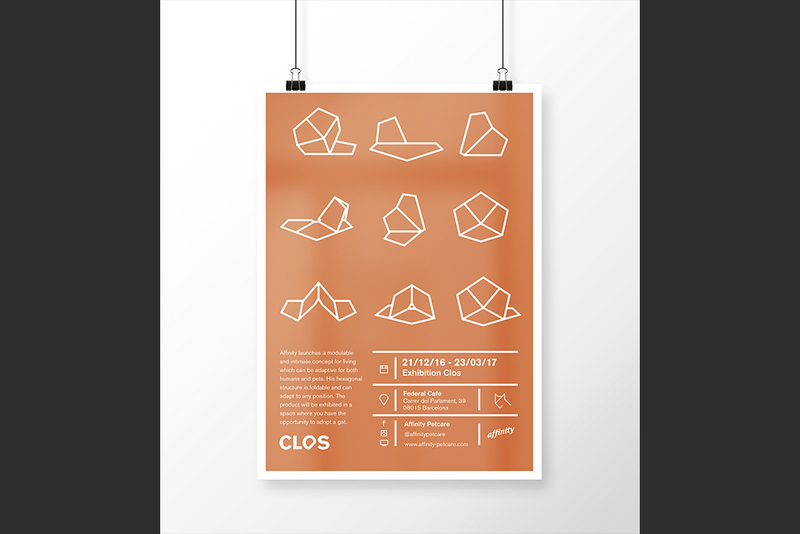 The product CLOS will be exhibited in a space which shares the values of the foundation and the product designed. 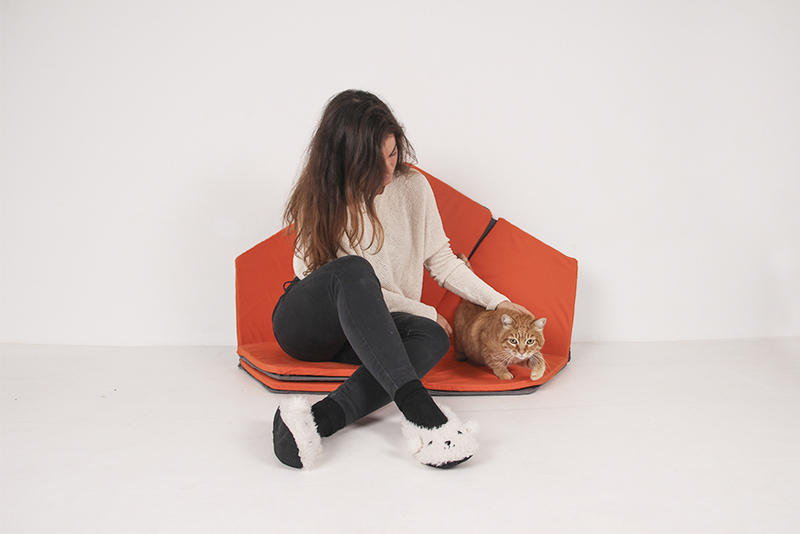 The space CLOS is one pop-up store destined to the commercialization of the module, to allow that cats and human beings could share the same space of an agreeable way. 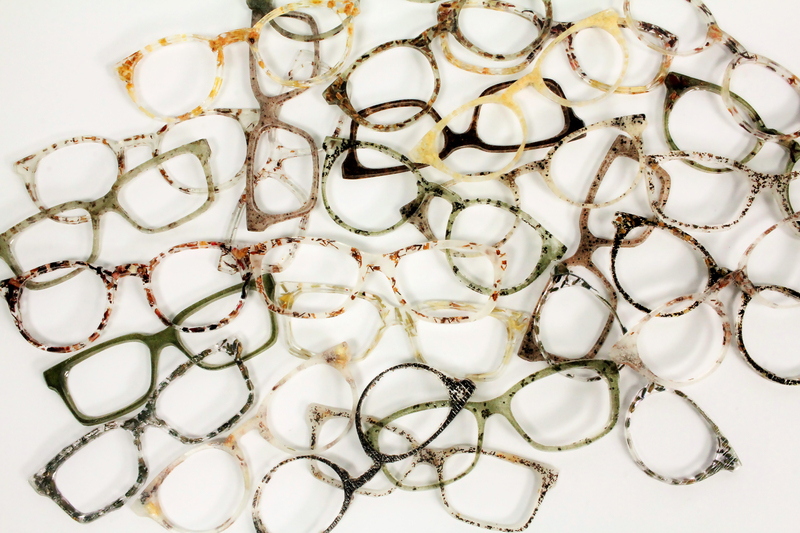 We can contribute to the improvement of animal life by the use of this space. 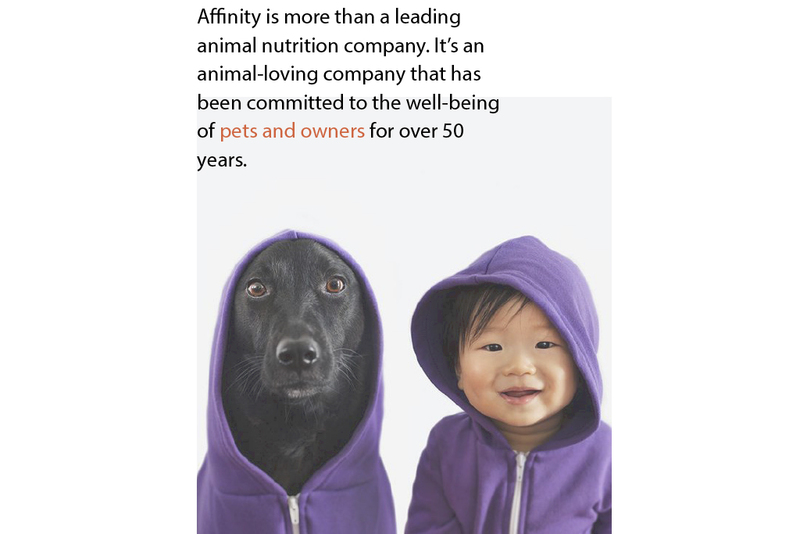 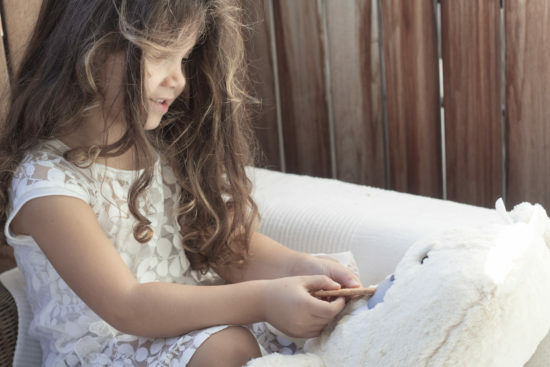 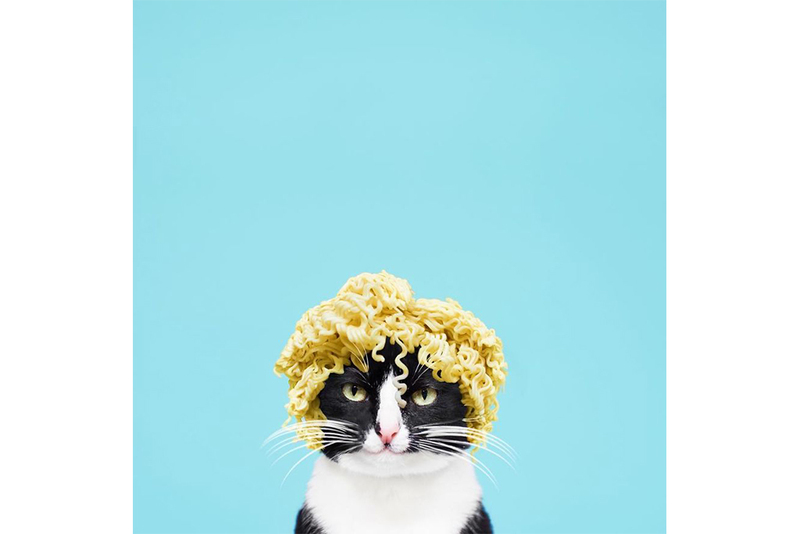 As a result, we can develop a strong connection with our pet, supporting the basic values of the brand Affinity by the use of our new product. 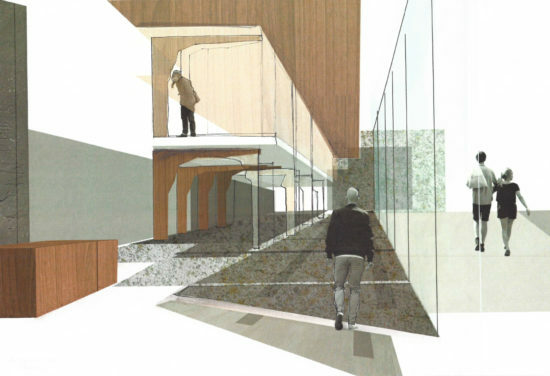 This space is sustained by four principal values: serenity, relaxation, experience, and compromisation with animals.